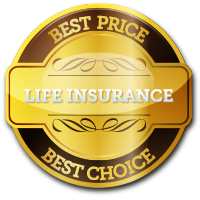 Get Ireland’s BEST Life Assurance Quotes – NOW! Getting the Best Life Insurance Quote and great advice is easy. Simply fill out the form and click the “Get Quotes Now!” button. Life Assurance Cover from only 49c / day! Getting the best life insurance cover is simple! When you get a policy that really suits your needs, you will be certain that your family can pay the balance on your mortgage easily. This gives great peace of mind knowing that your loved ones won’t have to cope with difficult financial circumstances, at a time that is already distressing and painful. If you wish, serious illness cover can also be added to your life insurance policy. The policy then pays out a considerable lump sum, should you ever suffer from any of a long list of serious illnesses.